I would have gotten it regardless of brand, but because it’s a GUDI, that only makes things a whole lot better. So I say let’s get on with it! 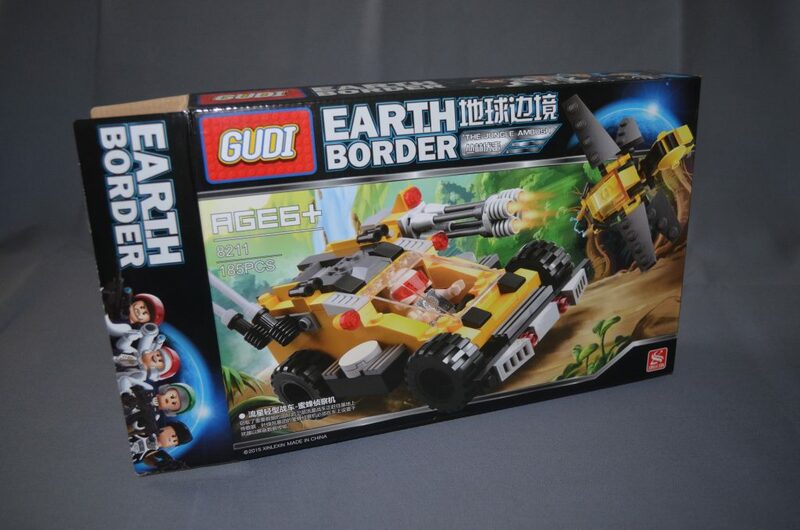 The GUDI Earth Border 8211: The Jungle Ambush is one of the small to mid size sets this Chinese clone brand has to offer, at only 185 pieces (including 1 minifigure). 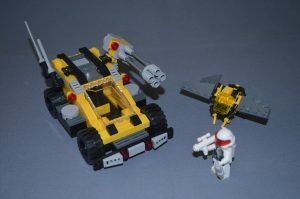 The design is old-school but nice and the final build is very playable, which is exactly what I look for in a brick toy. 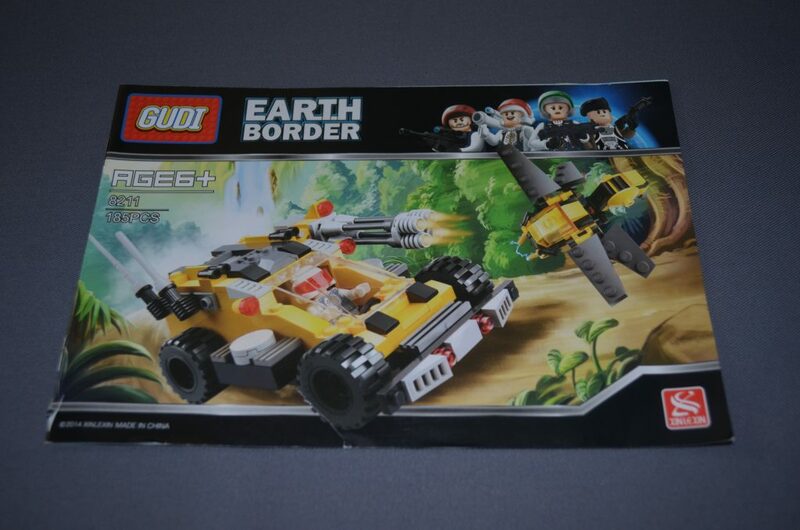 The action seems to take place in a future Earth, where there are a lot of rival factions fighting for supremacy…but I don’t know for sure what’s the story, just guessing. The quality of the bricks is of course superb, good old GUDI style! 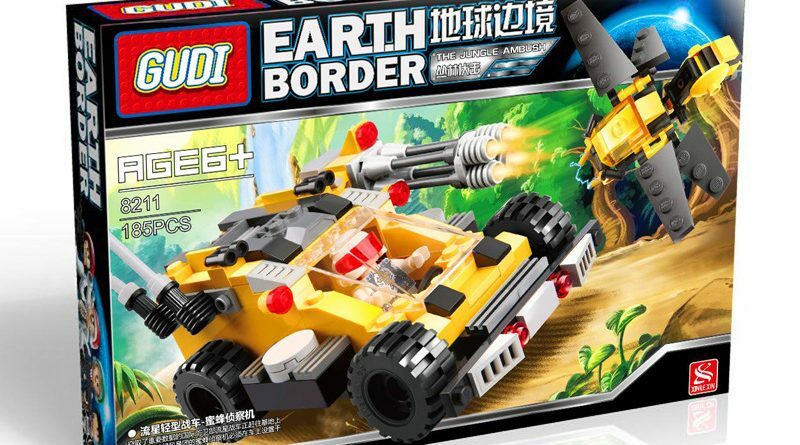 Makes me wonder how come they can sell at such a low price 😉 to LEGO! The box art looks cool and pro. 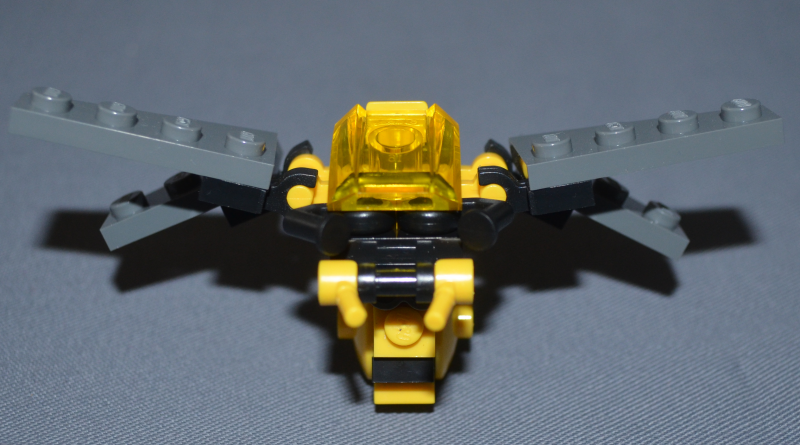 The only thing that bothers me is that I don’t know if the wasp drone is friend or foe, since the car seems to be shooting at it…so, I’m gonna judge by color and call it friend. 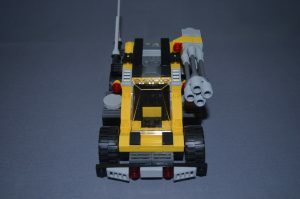 Maybe a recon drone? 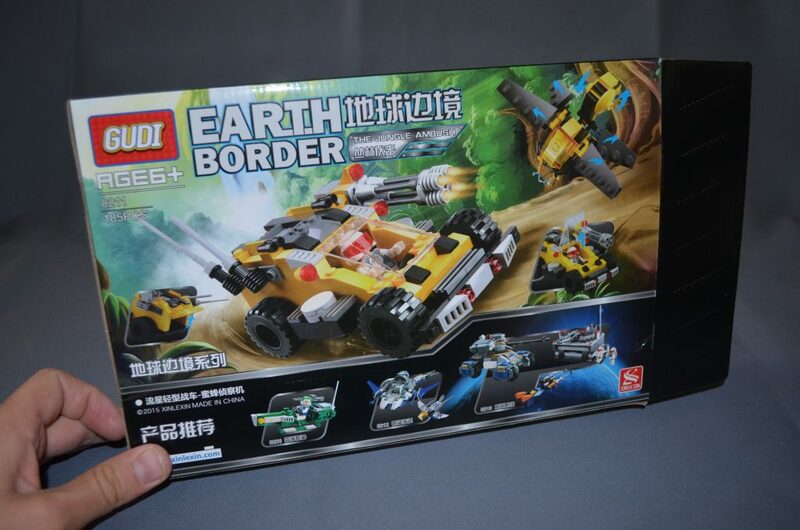 ^^ On the back of the box they show some features of the model and three more sets in the Earth Border series. There is no relation between them, they all look as if they’re doing their own thing. 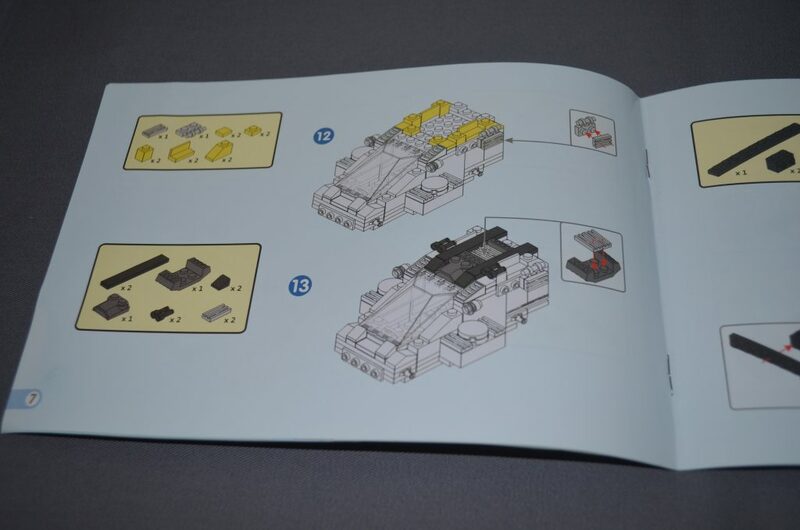 Instruction manual is nicely printed and very detailed. 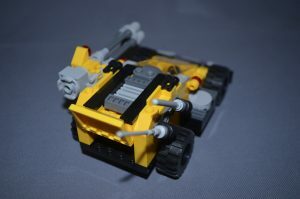 Previous parts of the build are shown in gray, so you know exactly what pieces to put where in your current stage. Thumbs up for that! 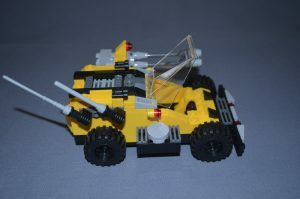 The vehicle has a lot of features, like a rotating up and down moving Gatling gun, communication antennas, opening cockpit and opening back door for whatever you want to put inside. 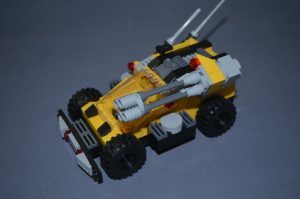 The wheels are quite large and they have black rims, how cool is that? 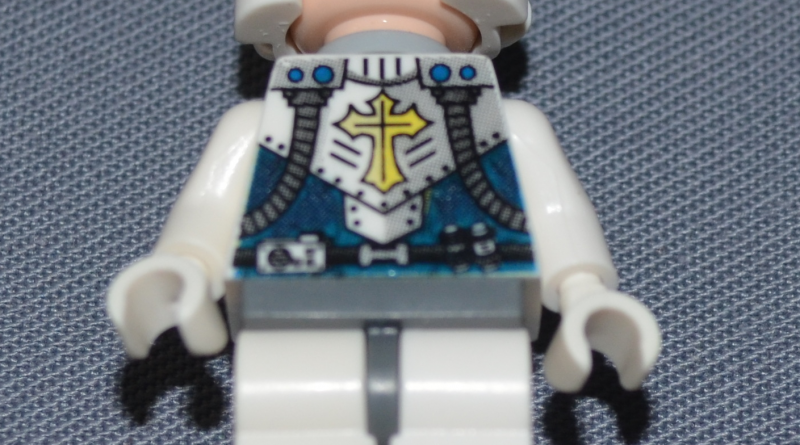 Minifigure wise….the quality is just awesome, everything feels like LEGO! 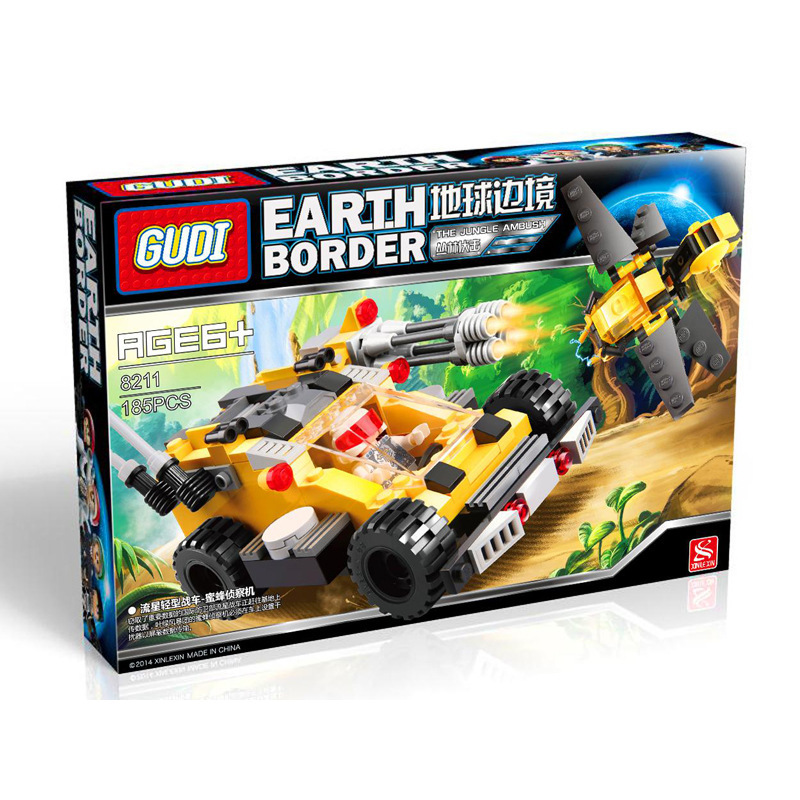 There are a lot of alternative brick brands with good plastic quality that just can’t seem to make a good fig, so this is a major plus for GUDI. 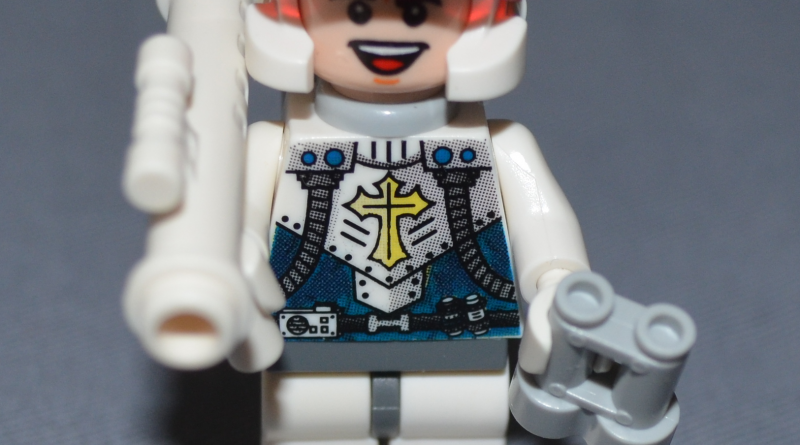 The design of it could be better, like some back and leg prints, maybe even dual face printing, but overall this a really great fig. 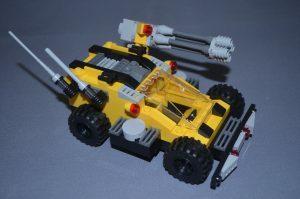 It comes with a rocket launcher, binoculars, helmet with visor and back air tanks. 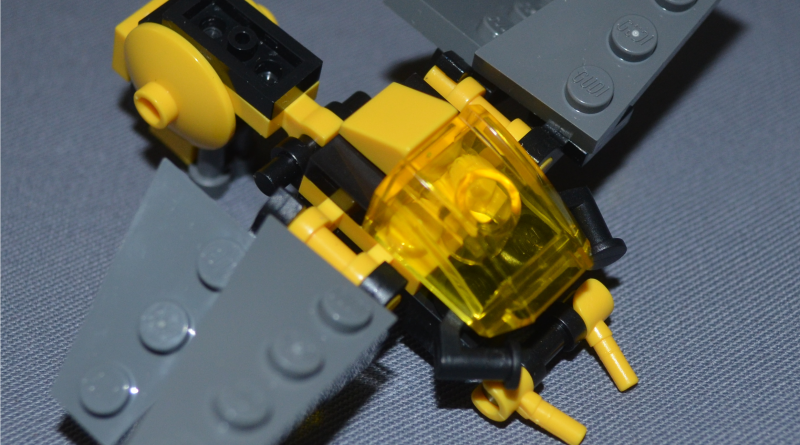 Minifigure – 10 (it’s not the way it looks – there are DLP Spider-Man minifigures which look way cooler – but the way it feels to the touch…it’s LEGO level). 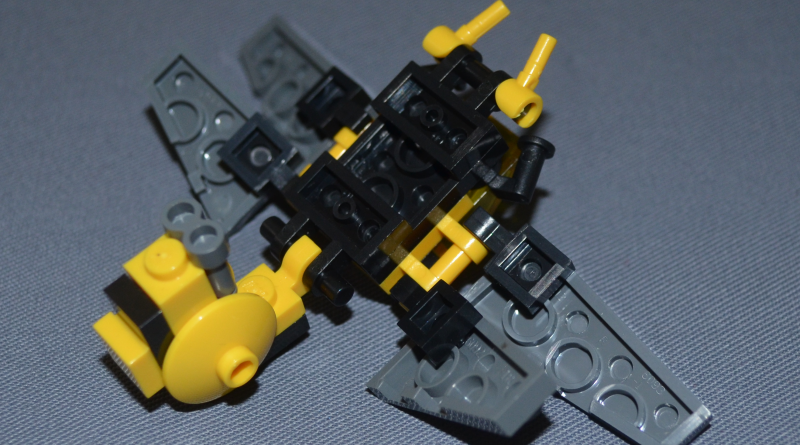 ← LEPIN to make Jon Hall’s F-26 Tempest!